Do you have a favorite fruit? Or two? Mine are watermelon and peaches. I eat them every day this time of year. I grew up on a peach and apple orchard and understand the flavor difference of something tree ripened and in season versus something picked for shipment or held for distribution later. So, I really only eat fruit that is in season. I was in the fruit section of my store and saw mangos for .69 each and they appeared to be ripe. So, I thought I would give them a try. When I got home I went through my archives of recipes to try, remembering I had pulled something from a magazine earlier this summer and found this recipe. I made it as a side to dinner last week and have had it at least 3 times since. 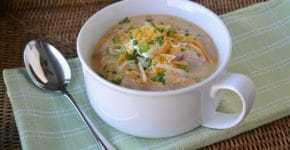 It is a combination I would have never put together, but it is a wonderful burst of fresh flavor. The mangos should be ripe – it helps!! It is so easy and the mango and kiwi seem to stay shelf ready for a few days in case your plans change. Thank you Eating Well Magazine for providing me with this inspiration. I haven’t abandoned my watermelon and peaches – just added to my rotation! 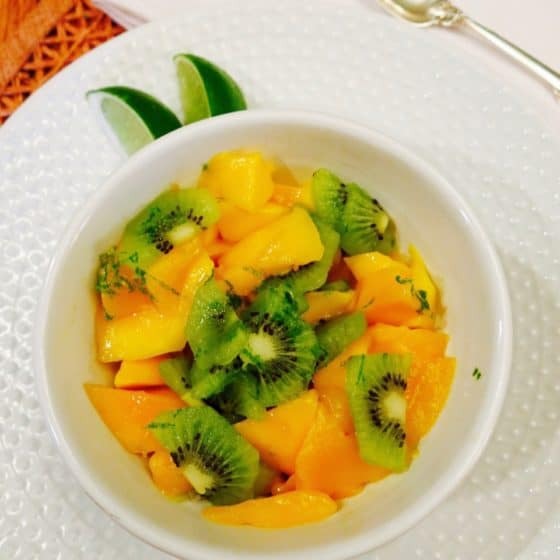 Toss the mango and kiwi with the lime zest and juice and serve. There you have it – how easy is that!! Enjoy this some night this week for dinner!